Please daven for Rav Achiad Ehud ben Carmit who was critically injured in the terrorist attack this morning. Mazal Tov to Chana and Aryeh Berkley on the birth of a girl! Send us your good news to post on IsraelB! The shiva is in Tekoa Bet. Ask around when you get there and you will be directed to the house. 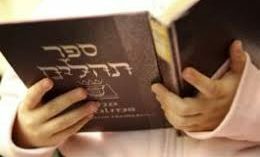 Times of davening: Shacharit at 7, Mincha and Maariv at 5. Daven for Rabbi Elisha Vishlitzky. One of the leading Rabbis of the religious zionist community, Rabbi Vishlitsky needs a Refuah Shlemah. 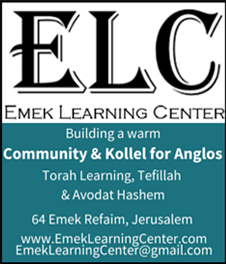 Please add Rabbi Elisha Haim ben Bella Berta to your tefilot. Click on here to read more. Davening name – Critically injured soldier. Nathaniel Felder, a soldier from the Netzah Yehudah unit was critically injured in a terror attack earlier this month . 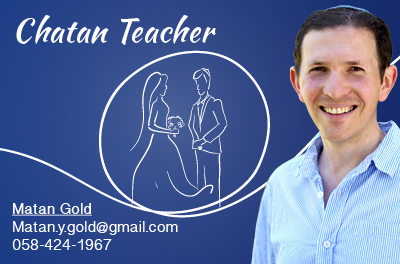 His davening name is: Netanel Ilan ben Shaina Tzipora. Let’s start the week with good news! Mazal Tov to the following on births: Abigail and Avi Steinhart on the birth of a daughter. Talia (Rose) and husband Hershkowitz on birth of daughter. Elana and Daniel Ginsburg on birth of girl.